Umbria is a land deeply related to its traditions. There are many historical manifestations and reenactments all over the year. Through these events, the Umbrian inhabitants preserve and transmit the most ancient traditions, letting them not to be lost and reproducing the strong local historical identity. City centers and villages are both really active to organize and recreate this kind of unique events, in which participates a large audience. 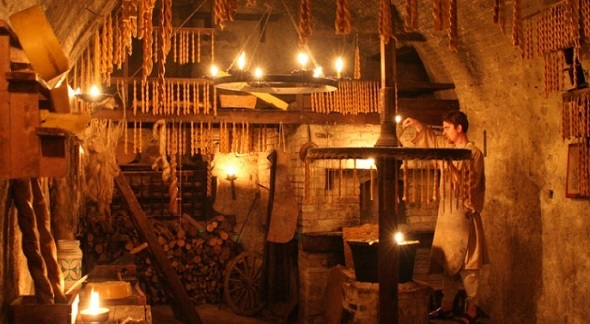 Taking part of the most traditional Umbrian manifestations, you will live a charming experience, immersed yourself into the ancient atmosphere of the past. To be more than a simple spectator, some events let you to experience personally the life of these communities and to know more about their typical activities. In the wonderful Medieval town of Bevagna, it is possibile to live all of this thanks to the ancient handicraft laboratories, organized during the famous Mercato delle Gaite. The Mercato delle Gaite in Bevagna is held in June and, among all the events proposed, it organizes also the ancient handicraft laboratories. 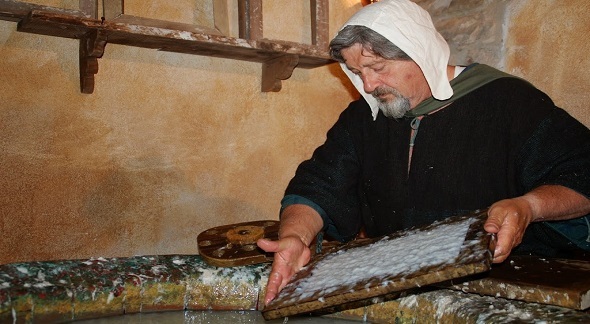 Along the suggestive streets of the little village, there are these sites of the Cultural Itinerary of Medieval Crafts, where skillful craftmen will show to the visitors the traditional techniques of production explaining all them ancient secrets. the Zecca: in this factory there is the ancient mintage of the local coins of Bevagna, the ancient ones of the XI century, with all the phases of their production (from the copper fusion to the punzolatura and the whitening). To completely live the work of the craftmen, in addiction to the visit, you can also participate in the special workshops organized inside the laboratories. You will have the chance of becoming a real Medieval craftman, knowing and experimenting all the secrets of the Medieval arts. 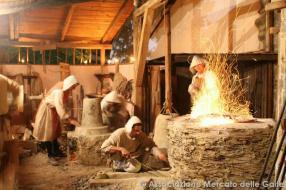 Sistema Museo organizes a special itinerary dedicated to handicraft and tradition. 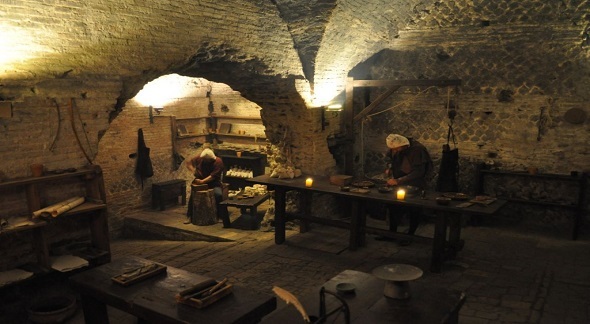 It includes a tour of Bevagna with its laboratories and, if you desire it, a tour of Montefalco. The complete tour is about of 5 hours, for one only city of 2:30 hours. Bevagna and Montefalco are both Umbrian pearls, thanks to their artistic treasures and the ancient traditions surviving there. Montefalco is well known for its wonderful landscapes overlooking all over the surrounding land. After visiting the historical center (Porta Federico II with the most ancient wineyard of the Sagrantino wine, the garden of Porta della Rocca and the Rimembranza Park with its wall of XIII century) the itinerary proceeds to the Saint Francis Museum* where there is the frescoes realized by Benozzo Gozzoli from Florence and dedicated to the history of Saint Francis. Then Bevagna, the ancient Mevania, with the central square and two important monuments of the Romanesque architecture: the Church of San Michele Arcangelo and the Church of San Silvestro. Along the charming streets of the city center, you will find the handicraft laboratories of the Cultural Itinerary of Medieval Craft. In addiction, not to be missed a visit to the Cantina-Scultura of Tenuta Castelbuono, realized by Arnaldo Pomodaoro, one of the most important contemporary artist (payed entrance and wine tasting). The tour prices (excluding the payed entrances to museums and monuments) are: € 200,000 from 1 to 10 people; € 240,00 from 11 to 30 people; € 270,00 from 31 to 50 people (complete tour).